ABB expands its global network of Collaborative Operations Centers to broaden its digital reach and expand its portfolio of digital services. 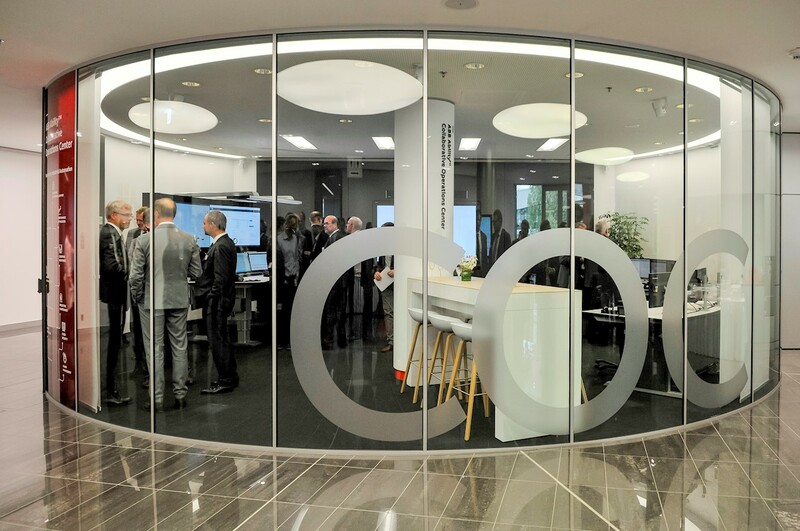 The new center is located at ABB's German headquarters in Mannheim and went into operation in April 2018. At the heart of ABB’s digital portfolio is ABB Ability Collaborative Operations, a service delivery model which connects people in production facilities, headquarters and ABB to deliver objective data insights that ultimately increase customers’ profitability by improving plant efficiency, increasing safety, reducing risk and lowering costs. The new model bundles industry knowledge, cloud-based solutions and services into a 24/7 service delivery concept. Collaborative Operations combines the strengths from cross-functional teams with industry and expert knowledge from ABB, and plant insights from the customer to deliver greater value in the shortest possible time through information analysis. "As a result, our customers benefit from knowing more – doing more – achieving more – and working together," says Christian Kohlmeyer, Digital Lead Central and Eastern Europe for ABB’s Power Generation & Water. "With our digital services, we turn data into information that our customers can use directly. We create the optimal basis to take decisions and increase cost efficiency and thus optimize plant and fleet performance. Our goal is to create new value together." Digitization not only improves operational efficiency, but also the availability of resources. Asset and operational information is collected, correlated and analyzed around the clock in Collaborative Operations Centers to identify, categorize and prioritize performance improvement actions. ABB Ability Collaborative Operations includes performance optimization, remote monitoring and preventive analysis technologies. Foresighted analyses and key performance indicator (KPI) evaluations are visualized in dashboards to enable faster and more concrete business decisions. The newly opened Collaborative Operations Center in Mannheim provides services from the board level to the management level of corporations. The services range from complex optimization solutions to increase productivity, to forward-looking condition monitoring and energy optimization, to cyber security modules and measures. ABB experts analyze and monitor the plant data according to various criteria and support the following industries: power generation, water plants and networks, process industries, oil & gas, petrochemicals, mining as well as pulp, paper and metals. Customers in other industries can benefit from cross-industry benchmarks. ABB will present Collaborative Operations at the Hanover Fair from April 23 to 27, 2018 in hall 1, booth A 35. For more information on ABB Ability™ Collaborative Operations and its applications, please visit the ABB website.